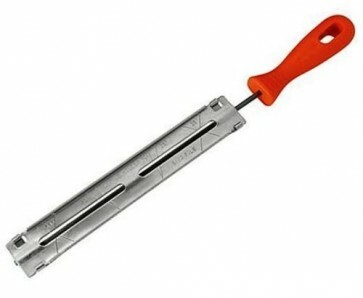 Brand New Chainsaw File 4.0mm / 5/32" Round file designed for sharpening chainsaw chains quickly and accurately. Attached guide plate holds file at correct depth, clear markings for easy angle alignment. Size 4.0mm / 5/32"